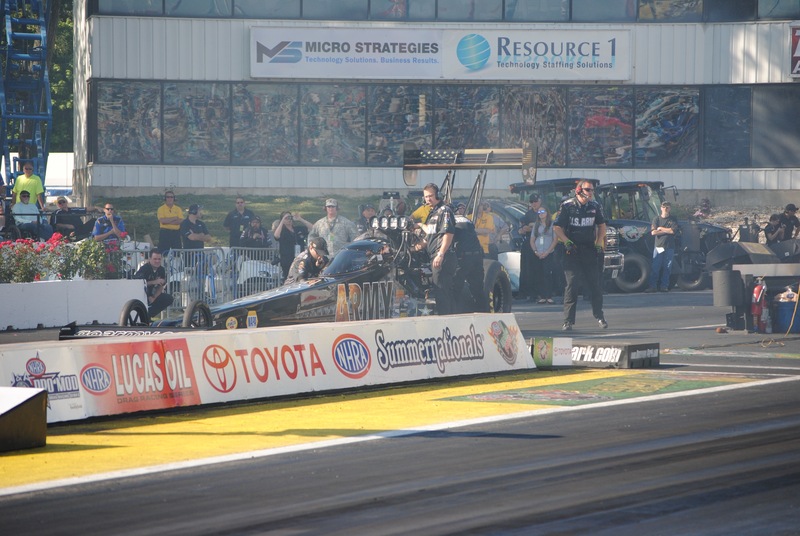 Tony Schumacher and Larry Dixon have a long respect for each other. If you asked each other, who their toughest competitor on the track is, they would say each other. This afternoon, the two met each other in the NHRA New England Nationals final round. “The Sarge” took home the Wally as he went 3.809 to Dixon’s 3.881. Schumacher now has two of the three Top Fuel wins at this event. He also won last year as well with his son in attendance following a baseball tournament in Cooperstown, N.Y. The win gives the U.S. Army driver his 79th career win. He only trails John Force, who also won on Sunday, with his 143rd win. This was the first time that Schumacher and Dixon faced each other in the final round this season. The previous two times that these two have faced each other, Dixon won. At Las Vegas 1 in the beginning of April, Dixon went 3.795 to Schumacher’s 3.828. Last month in Atlanta, Dixon went 3.779 to Sarge’s 3.790. Schumacher picked up his second win of the season. He also won the second event of the year in Phoenix.